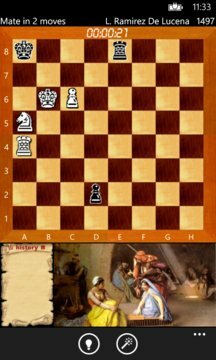 If you like playing CHESS – the Chess Puzzles game is an ultimate match for you! 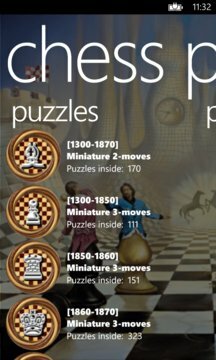 Discover more than 200,000 chess puzzles that were created by chess masters from 14th century and until today! All puzzles are coming with fully verified solutions, and if you fell stuck – you can discover it either using a hint or asking to show the solution. Some packages coming as paid – you can choose which one to purchase or just get them all! You can also purchase ads-free option inside the game.